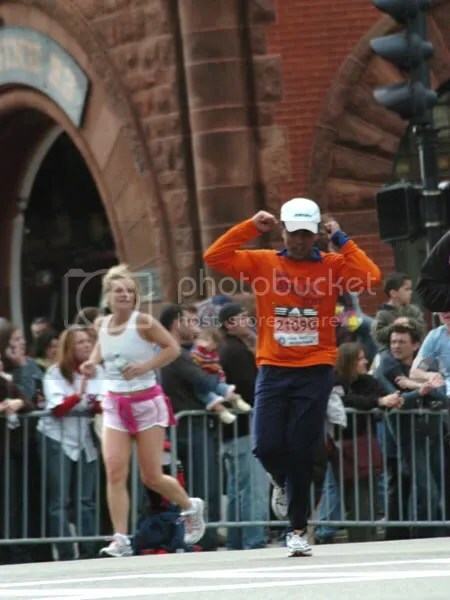 Boston Marathon 2007: 26.2 miles in a Nor&apos;easter! The most up-to-date weather forecast calls for a predicted Spring storm on Monday, including heavy rains (potentially 3 to 5 inches), with the start temperatures in the mid to upper 30&apos;s. Wind will likely be East (in the face of the participants for most of the race) in the 20 to 25 mile per hour range, with gusts to as much as 50 miles per hour. This will produce a wind chill index of 25 to 30-degrees Fahrenheit. Combined with the rain, we are concerned that predicted weather conditions will increase the runners&apos; risks for a condition called hypothermia. As with any athletic competition, as a runner you are assuming the risks inherent with participation. 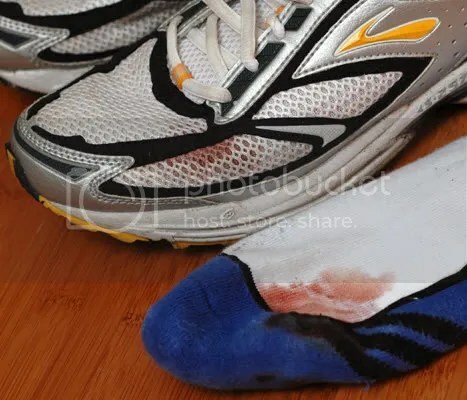 It is your responsibility to be informed about the risks associated with running in the aforementioned conditions, and the risks of injury or illness will increase with these predicted conditions. But heh! 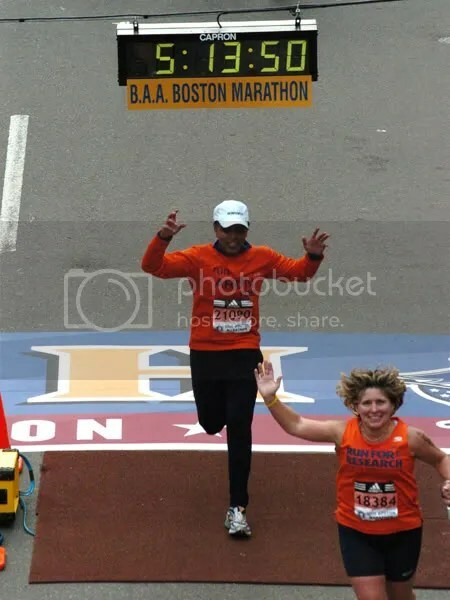 Now is a great time to share a couple of pics from last year&apos;s Boston Marathon. My first! For those unfamiliar, the Boston Marathon is the oldest continuously running marathon, one of the most difficult and the most prestigious! For runners, completing any marathon may be a life long dream, and running Boston is equivalent to touching the Holy Grail (whatever that may be!). Inexperienced, I started fast and did not account for the initial downhill part. With every step I was jamming by toes against the front of the shoes and could feel blisters and stickiness spreading around my toes. At mile 17.4 we turned the corner and started up the first of four hills in Newton. Here I am at Mile 19. Notice the “Run Arun Run” on my shirt. My running form seems pretty good, but my feet were killing me. And I made another important mistake. I paused and looked at my feet! There I could see blood from my toes had seeped into the top of the shoes. That made me nervous. I had thought it was only a blister! My energy deserted me and when I hit “Heartbreak Hill” at mile 20, I started to walk. Along this particular stretch, the median is lined by Emergency Medical Tents – but I was too terrified to go inside. I worried, they would find something horrible and pull me out of the race. Along the way, the spectators were simply fabulous. Every time I stopped, someone screamed “Run Arun Run,” and I&apos;d pick up my feet and start to run. And thus I slogged through the rest of the race. Here I made the turn onto Boylston St and I can see the Finish line about 800 yards away. I was ecstatic! Now its a wall of screaming spectators and I was not going to be walking this stretch. 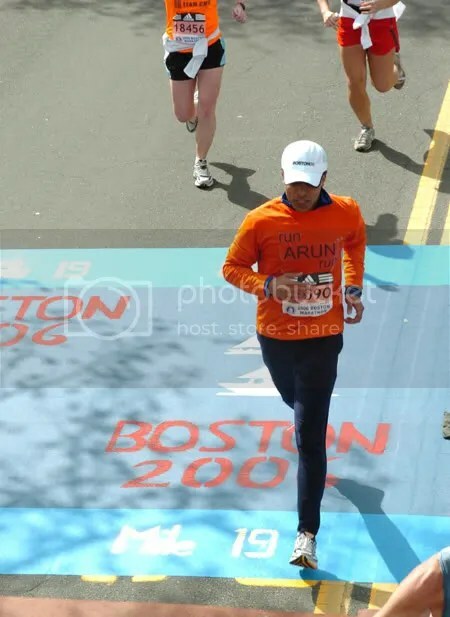 My energy levels were at “zero”; my feet were killing me, all my senses had numbed; I only saw the finish line and a blur of spectators and officials. I don&apos;t remember anything else, just the finish line coming up … incredibly slowly! And then, I was over the line – A Marathoner! We are all timed by individual RFID chips, which we tie to our shoes. My official time was 4:29:18; The clock states the total time elapsed, and the difference represents the time it took me to get to the start line. Tomorrow&apos;s Marathon is going to be very different. All of us will be fighting to survive and finish! Nothing new! I will still have my “Run Arun Run” shirt, but on top I will have some thermals and wind jackets! Go to BostonMarathon.com to get live updates. Race starts at 10:00 am (Eastern Time) and I hope to cross the start at 10:40 am. Enter my last name and bib # (23975) and you will get live feedback from my chip at every 5K intervals.